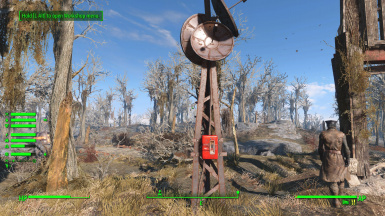 A radio beacon which turns off after attracting a certain number of settlers. DigiCabs Sanctuary Blueprint I use the ESL. Made the beacons actually play the associated radio. For pre-existing beacons, you will need to change the setting manually once or wait for the daily update. (hopefully) made the beacons show the proper state. That is, on if active, off if inactive. 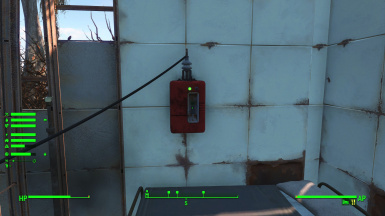 Do you remember that time where you forgot to turn off the radio beacon at Sanctuary, and came back to 30+ settlers complaining about a lack of beds? Are you feeling bad about using the console for exact population management? Did you ever restort to murder and/or cannibalism because ALL of your settlements were full to the brim? Then this mod is for you! 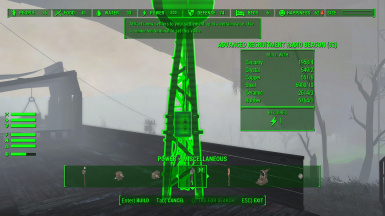 This mod adds a second radio beacon, where you can set a desired population. It will then spawn at most one settler daily, using a similar mechanics as the vanilla game, until this population is reached. You will also be notified about each new settler. These beacons will NOT work at the same time as regular beacons. If a regular beacon is active, the advanced beacon won't work. IMPORTANT: Version 3.0 works completely different and is no longer backwards compatible. If 2.0 works for you, you don't have to upgrade, but it didn't really work for me. If you want to upgrade, you should uninstall the previous version first, and maybe also check the save for "pra:AdvancedRecruitmentQuest" using FallrimTools for good measure. Mods which change anything about recruitment will need a patch, otherwise this mod will completely circumvent the changes. 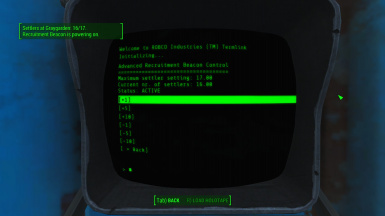 One of such mods is Sim Settlements, a patch for it exists unter Optional Files. Mods which just change which settlers can spawn, or which add new workshops which spawn a different kind of settler, should be fine. 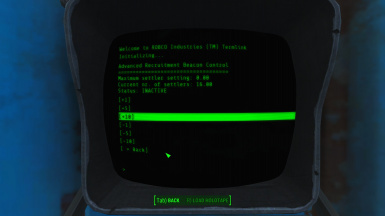 I'm using it myself with Orphans of the Commonwealth, and it works fine.